Whats the advantage of Enriched Air? 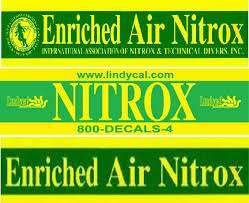 Many divers I talk to or over hear in conversation often think that Nitrox is used for deep diving, this in fact is the biggest misconception scuba diving. In fact the deeper you dive the less oxygen is needed in the cylinders, to maintain a safe partial pressure of 1.4ATA on bottom. The first evidence of a dive using enriched air in 1879 by Henry Fleuss, who was a master diver for Siebe, Gorman & Co. of London. 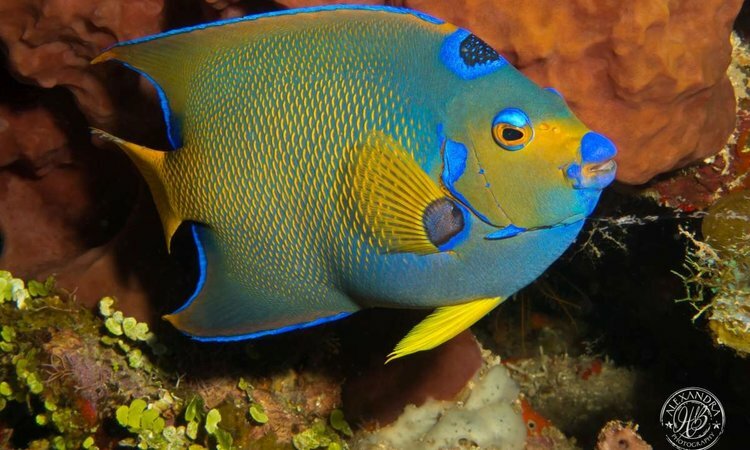 He was breathing a mixture of 50 to 60 % oxygen enriched air in a large fresh water tank, a week later he logged a dive in open water with the same mix and equipment. Siebe continued his research into Nitrox mixes and between the two World Wars he introduced the technique of using different concentrations of oxygen mixed with nitrogen. This was used to great effect by British commandos during World War Two who used oxygen-enriched air rebreathers. Their rebreathers used a mix of 45 to 60% oxygen which had a greater maximum operating depth than their opponents who used pure oxygen rebreathers were limited to 6mt / 20ft. 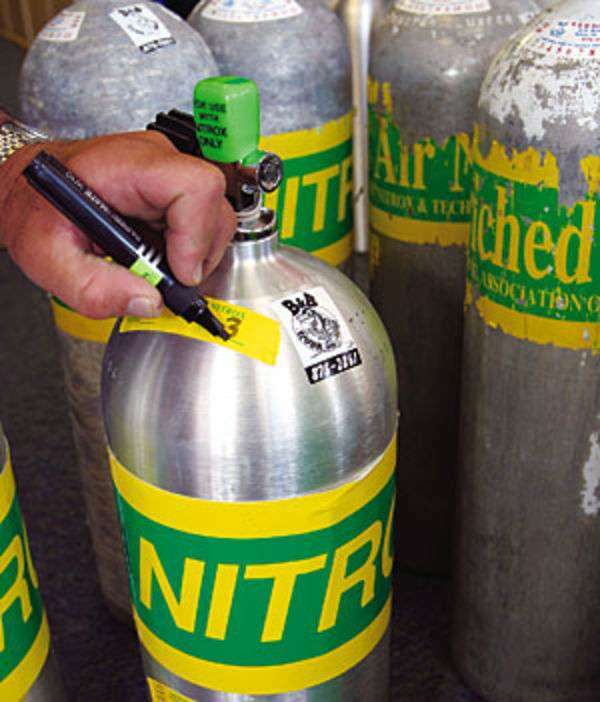 If we breathe Nitrox during our dive we gain significant bottom time before we reach our no-stop time. 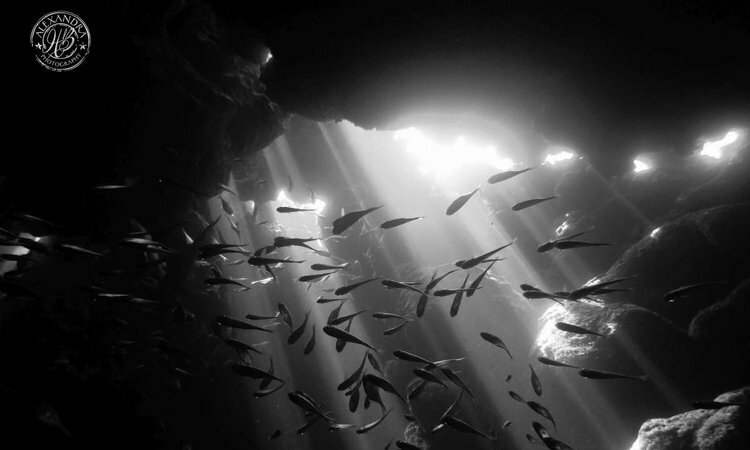 The exact amount of extra bottom time will depend on the depth that we are diving to and the Nitrox mix that we are breathing. 4 x 0.79 = 3.16bar. If we are breathing Nitrox with a 32% oxygen content (and 68% nitrogen) then the partial pressure of nitrogen is 4 x 0.68 = 2.72 bar. So as the inspired partial pressure is lower when breathing EAN32, the tissues will on-gas slower at any point the same tissue will contain less nitrogen than if the diver had been breathing air. Oh one other thing, it makes you look COOL!!! What will you learn in your Nitrox theory? 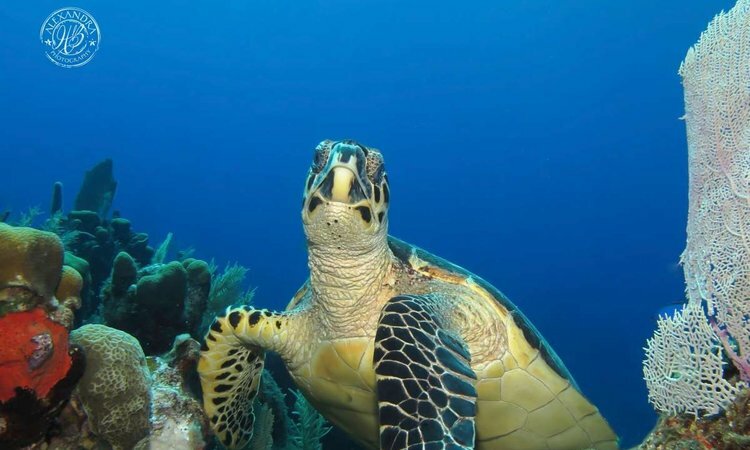 Why use Nitrox on Roatan? Why you ask? Take advantage of staying 33min on the shipwreck “El Aguila” instead of 16min on air, air supply permitting of course. Travel out to the other shipwreck further up the coast “Odyssey” and explore the triple decker super structure on Nitrox. Again spend up to 35 min or so enjoying the large wreck without being pushed by no-deco limits of air. Or take advantage of diving a divesite on the south west tip of the island known as “Texas” , once you swim into the large barrel sponge area it has a depth of 18 to 21mts 60 to 70ft, whilst diving Nitrox you will be able to enjoy your time on bottom and not be limited to your no-deco limits on air. The PADI Enriched Air Course will approximately take the student a day of classroom theory, dont worry though we have an air-conditioned classroom to kick back and relax in.